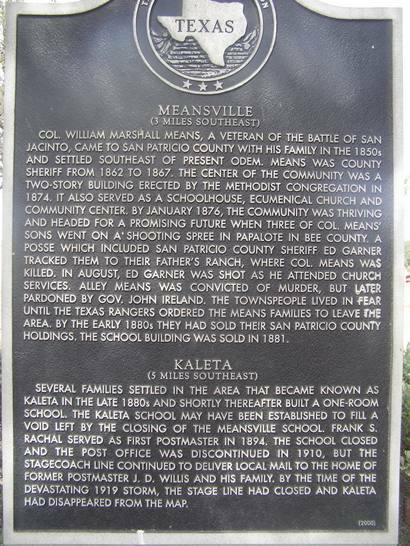 Kaleta, Texas, San Patricio County ghost town. First settled in the late 1880s, the first public structure was reportedly a schoolhouse. 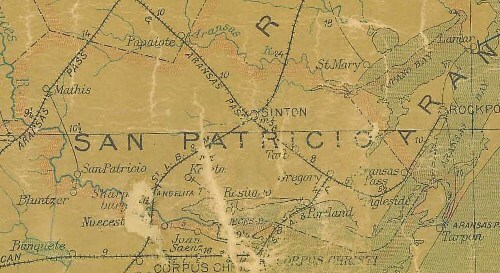 The community was on a stageline from Portland to San Patricio and the home of James Willis served as both stagestop and first post office. The town (no explanation for the name is available) had an official post office from 1894 through 1914. Thereafter it was routed through Odem. The town died around the time of the closing of the post office.